What’s in a name? That’s a question we’ve asked many times already, but it’s always worth taking another look at the characters we love just a little bit closer and see if there’s something more to find out about them in something as simple as what we call them. 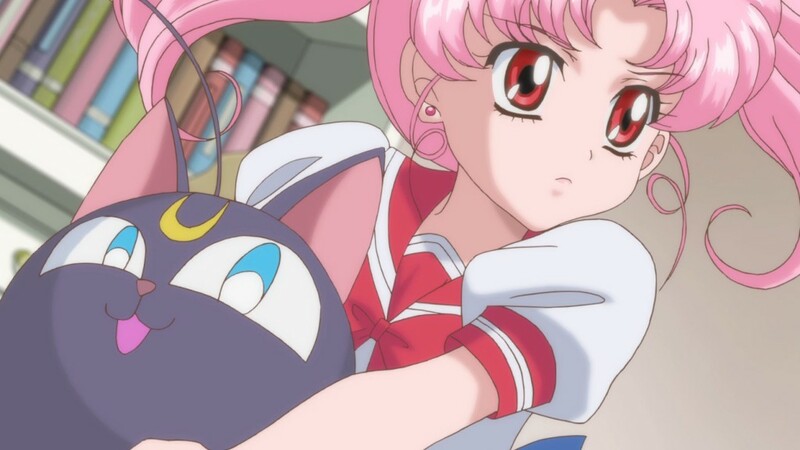 If you want to talk about name mysteries, ChibiUsa definitely has a lot to offer to the conversations — she has a pretty long name after all! Her official name is Usagi Small Lady Serenity,1 though she’s typically referred to as ChibiUsa (Sailor Pluto, however, typically prefers Small Lady in the Black Moon Family arc) in order to avoid confusion with Usagi. So where does the Small Lady name come from? Though Naoko has never officially remarked on this in detail, we can make some interesting inferences from what we know about language use in manga. She’s not ‘chibi,’ and don’t forget it! So why all this talk about Dragon Ball? Well, it was an anime and manga contemporary to Sailor Moon so we know that the phenomenon was already common at the time and gives credence to the idea that there might be some deeper meaning to the Small Lady name. Fortunately for us, the options are pretty limited, but the most likely choice for a kanji reading for Small Lady is: 少女 (shoujo; lit. small lady / maiden)5 If that sounds familiar to you, well, it should: these are the very same characters used in the title of the series: 美少女戦士セーラームーン (bishoujo senshi se-ra-mu-n; Pretty Soldier Sailor Moon). An alternative literal kanji choice would also be 乙女 (otome; lit. small lady / maiden). You would probably recognize this word as the ending theme to the Sailor Moon R anime: 乙女のポリシー (otome no porishi-; Maiden’s Policy).6 More likely than not, the Small Lady name is in reference to the very term her mother, Usagi, used to refer to herself as a sailor-suited soldier of justice. 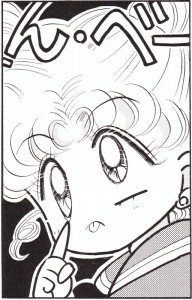 The story with ChibiUsa’s name is interesting in general due to the Serenity name connecting her to her mother and even down the line to her grandmother. Even more interesting is that she doesn’t seem to be given a last name (neither Tsukino nor Chiba), which implies that the people of Crystal Tokyo don’t use last names. It may be a small detail, but I’m glad to see that Usagi maintained her independence, even through marriage! 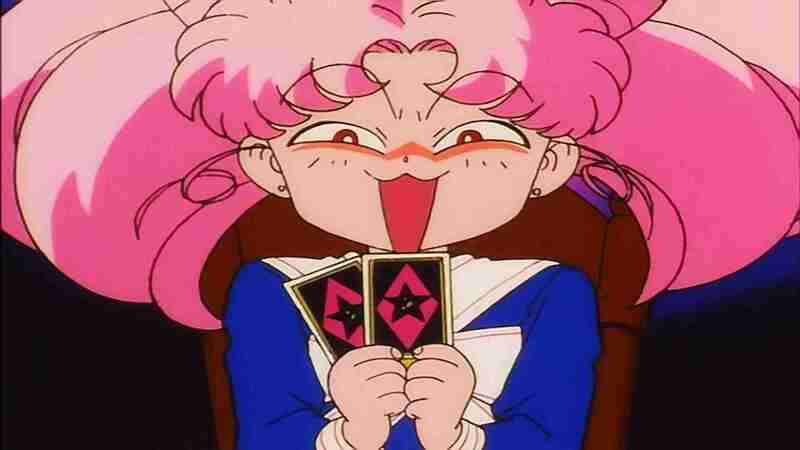 ← What is the Connection Between Sailor Moon and Pop-Tarts? Don’t you think it’s not like they don’t use last names in Crystal Tokyo in general but rather it is like that because they are royal family? You don’t usually hear royals using their last names i think. It’s an interesting issue. You’re right – we usually don’t think about last names of monarch and just refer to them by their first names. I suspect one of the reasons why this tradition came up is because the title is passed down by heredity, so they all actually would have the same last name. 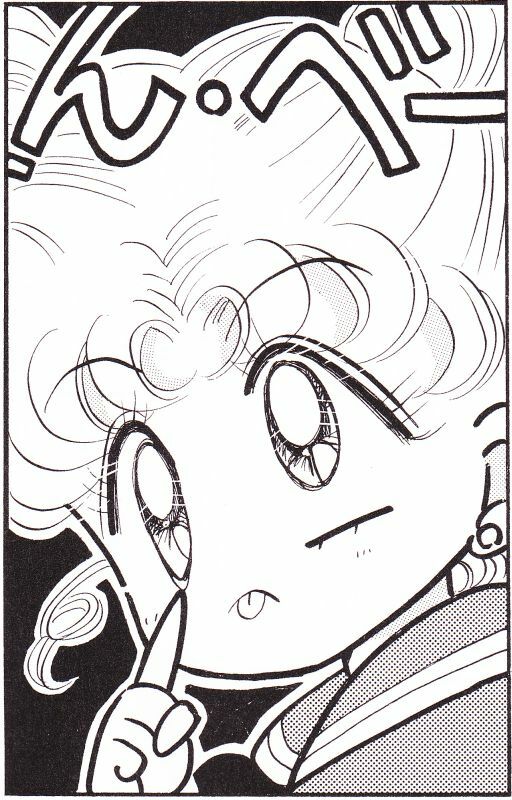 But I guess that makes sense when you consider that Serenity actually passes down from the tradition of the Moon Kingdom and she may not have a last name anyway. Ha, that’s what I thought, too. And it reminds of an childhood anecdote of Her Majesty, Queen Margrethe II. She went to a normal elementary school, and apparently the teacher didn’t know who that certain girl was. T: Yes, and your family name? M (after some moments of deep thinking): Of Denmark.